Doctor Discovered a Method To Fall Asleep In Sixty Seconds! People who suffer from sleeping disorders, like insomnia, have experienced all its numerous harmful effects. If you belong to this group of people, this article will probably change your life! 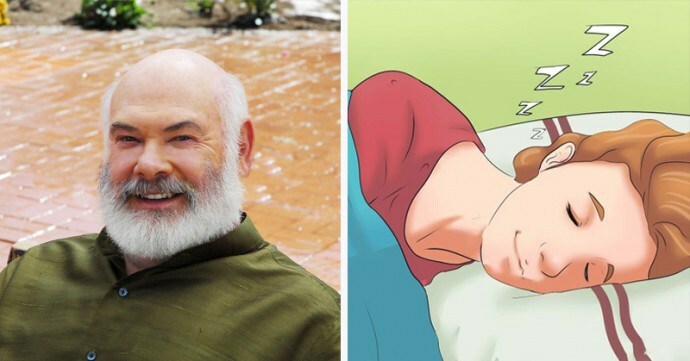 Namely, Dr. Andrew Weil has discovered an extremely simple way to help you fall asleep in seconds! Dr. Weil actually found his inspiration in yoga and its powerful breathing practices. Hence, he constructed a method known as “The 4-7-8 Breathing Exercise”. This exercise is extremely easy and will quickly provide results, so you will fall asleep in less than a minute. Moreover, it does not require any equipment. According to Dr. Weil, you need to focus on the proper ratio and inhale and exhale deeply. In this way, you will calm your mind and reduce the heart pulse. Even though it sounds too easy or good to be true, try it and share your experience with others!